Courtyard Chicago Arlington Heights/South Arlington Heights, Hotel null. Limited Time Offer! Courtyard Chicago Arlington Heights/South. 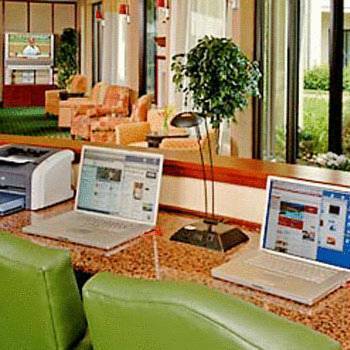 "Courtyard Chicago Arlington Heights/South" is a 3-star hotel. This hotel is located in Arlington Heights. The nearby forest is ideal for taking a walk. The accommodation has a total capacity of 147 bedrooms. The bedrooms are large. The air conditioning keeps the heat outside, always ensuring a pleasant temperature. You can enjoy some fresh air in the intimacy of the inner courtyard and go for a pleasant swim in the covered, indoor pool. By participating in golf you can make your stay a more active one. Furthermore, there is a gymnasium, a walking trail and a running track. After your daily physical activities, the spa or whirlpool bath are ideal to restore your strength. The onsite restaurant serves dinner as well as breakfast. Internet access is available at no extra charge. Set in Arlington Heights, the northern suburb of Chicago, this hotel is near a variety of points of interest, and offers convenient amenities and comfortable guestrooms.